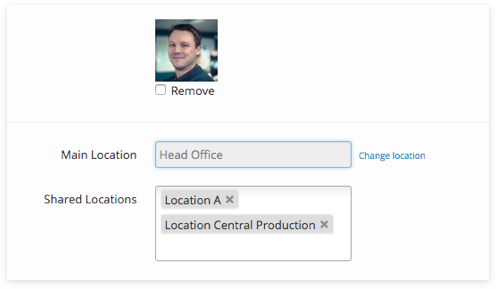 Create an employee role that can easily manage multiple locations at once. Fill in the role description. Tick the dashboard widgets you need your Regional Manager to see. Note: For your managers to see these widgets, they must also be turned on in the dashboard settings for your account. Select the dropdown for “Allow access to the following HR Profiles”. Your RM will now have visibility of the HR Profiles belonging to these roles. Tick “This Role” in the dropdown to allow the regional manager to view the full HR profile of other regional managers. Leave unticked if you do not want the regional manager to have access to other regional manager’s full HR profiles. In this example, the regional manager will see the full HR Profile of all other Regional Managers, Managers, Supervisors and Employees. Note: Don’t forget to update other existing roles. They may need access to the HR Profiles of employees with this role. 4. Tick “View / Edit Their Personal Profile” . This allows that the regional manager to see his/her full profile. If you untick, they will only see their shared profile. 5. All other employee permissions control the tabs on all the employee profiles visible to the Regional Manager. In this case, lets leave everything ticked. Create a new location and call it “Head Office”. For further guidance on how to create a new location read this article. Note: This is where the Full HR Profiles belonging to your management team can live. Your Regional Manager now has their main location in Head Office. Congratulations! You have now created your Regional Manager! Your regional manager will receive and email informing them of their role. They can now log in to Bizimply, giving them access to all their locations under this role, at the same time.